Museum gift shop, originally uploaded by Smithsonian National Museum of Natural History. Image from the U.S. Smithsonian National Museum of Natural History. The science bloggers have found a link to a very cute, amusing, and touching story about octopus love from the students of Gobelins art school. “Oktapodi”, film de fin d’études réalisé en 2007 par des élèves de la formation Conception et réalisation de films d’animation à GOBELINS, l’école de l’image, a remporté deux Prix au SIGGRAPH 2008 : le “Best of Show” et l’”Audience Prize”. Evénement incontournable, ce salon international réunit chaque année les professionnels du domaine des techniques interactives et du graphisme numérique aux Etats-Unis. “Oktapodi” a déjà reçu une dizaine des distinctions les plus prestigieuses du monde de l’animation. 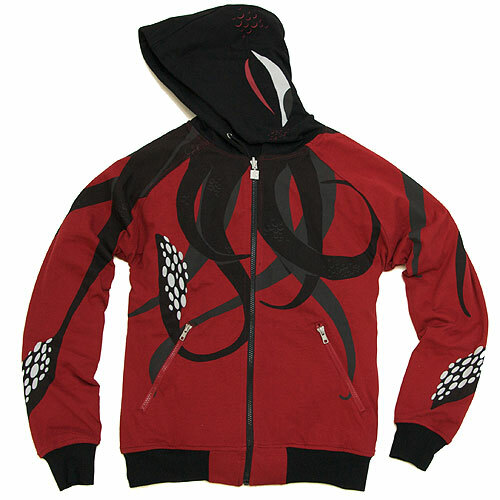 I can see PZ walking down the street with his minions, everyone dressed in black jackets with a red squid on the shoulder. Then, when he rises to debate those who would drag science down to the level of a religion, or religion into science, education, and government, he wears the red jacket with its all-embracing tentacles. There’s a continuing squid theme at Gama-Go. They have a ‘squid calimari’ one that shows the squid on a plate with a knife, ready to fight. 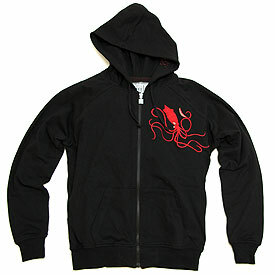 There’s also a “seasick squid” – just a few tentacles above a sea of tossing waves. I also like the “Flock you” jacket, which is adorned with flying birds. You can go to the Web site of the Te Papa Museum for recordings of their lectures and webcasts about the recently dissected squids. The colossal squid is Mesonychoteuthis hamiltoni and the giant squid is Architeuthis. The other lectures have been filmed. The videos will be available later. Some copyright issues need to be sorted too, so this might take a little longer than expected. To bring you up to speed, a crack team of teuthologists* dissected both Giant and Colossal Squids at the Te Papa Museum in New Zealand last week. This is where the confusion arises as a Giant Squid AND 2 Colossal Squid were dissected. One of these was the 495kg giant caught over a year ago by fisherman in the Antarctic (oh yeah…she’s a girl!). Seeing the media consistently confuse the two species greatly saddens me. But hey if the media always got it right there would be little need for DSN. So for clarity the Giant Squid and the Colossal Squid are completely different. Below I provide a list that you can print out and keep in your wallet or purse along with your Seafood Watch card…. 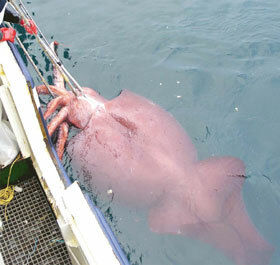 The colossal squid is Mesonychoteuthis hamiltoni and the giant squid is Architeuthis. The dissection of a colossal squid in New Zealand is proceeding, and by popular request the museum personnel are showing some details of the tentacles, suckers, and hooks. 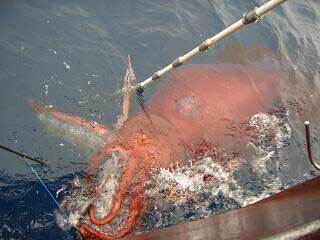 The colossal squid is Mesonychoteuthis hamiltoni. 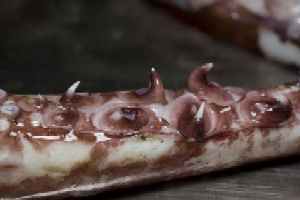 If you are interested in giant and colossal squid, Te Papa will host and webcast the dissection of 4 giant and 2 colossal squid starting Sunday 27 April. 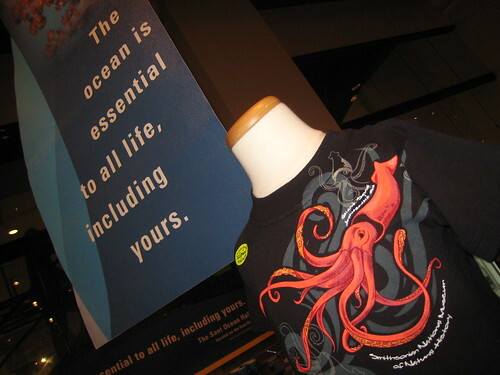 More info can be found on our website: http://www.tepapa.govt.nz/squid/ and of course, on our blog. For more information, visit the Museum of New Zealand Te Papa Tongarewa.